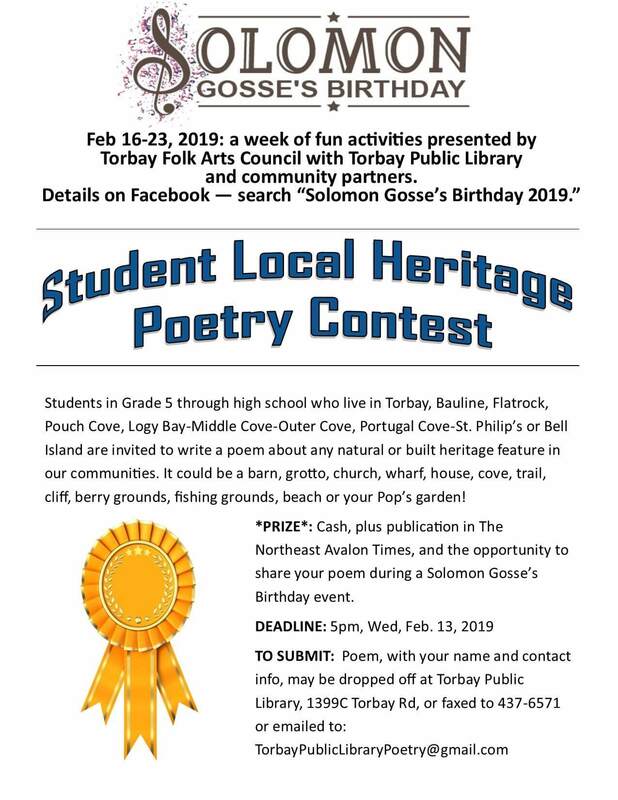 Students in grades 5 – 12 can enter a Local Heritage Poetry Contest for a chance to win cash and to have their poems published in the Northeast Avalon Times. Students are invited to write a poem about any natural or built heritage feature in the community, such as a barn, grotto, church, wharf, house, cove, trail, cliff, etc. Further details can be found on the poster below. Deadline for submissions is Wednesday, February 13, 2019.